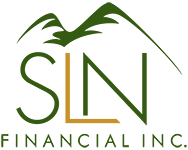 3 Instances When Life Insurance Makes Sense | SLN Financial, Inc. Many people think they don’t need life insurance for one reason or another. A lot of these same people also think life insurance is too expensive (it’s not). Add these two together, and you get a population that simply doesn’t prioritize life insurance. Even if that’s you, the following scenarios can make life insurance a priority, and a policy should be strongly considered. You own a business. If you’re a business owner, a life insurance policy can be used in several ways. You can use it to fund succession planning, or you can provide an inheritance to your heirs who won’t be a part of the business once you’re gone. Not to mention, it can keep your business afloat, replacing income, in the case of an untimely death. You just started a family. Being a provider for your new family makes them extra susceptible to falling on even harder times in the event of your untimely death. It can replace your income, and help your family meet daily living expenses—from car insurance to your mortgage. Is life insurance right for you? Whatever your situation, give us a call and we can help you decide what’s best for you and your family. The content within this document is for informational and educational purposes only and does not constitute legal or tax advice. Customers should consult a legal or tax professional regarding their own situation. This document is not an offer to purchase, sell, replace, or exchange any product. Insurance products and any related guarantees are backed by the claims paying ability of an insurance company. Insurance policy applications are vetted through an underwriting process set forth by the issuing insurance company. Some applications may not be accepted based upon adverse underwriting results.